First thing I do when I land back home in Los Angeles is hit up Chinatown in search of some bubble tea. Taro flavor to match the purple tones on my dress. It's the half-Asian in me for sure . . . bubble tea needed to fully function. haha. It was deliciously warm my first day back home for the holidays, which was fine with me since I forgot to pack my tights. Every time I come home, it's both relaxing and stressful. Family time means more time to kick back at home, but it also means that it can be like entering a battlefield. Sometimes I feel like I'm in an episode of Keeping up with the Kardashians, except in this case it's more like Keeping up with the Suarezes. Mom always wanting to know every detail of my life and the boys/men I'm dating, throwing bullet questions at me every five minutes and always demanding an answer. Dad making sure I'm paying my bills on time and wary of me driving the family car because I'm not on the insurance plan, which results in many consecutive eye rolls from me. I was raised to be a strong and independent woman, but it's funny how when I do finally become that sort of woman, as soon as I get back home it's like I'm that confused and easily annoyed teenager again. It's definitely overwhelming at times, and sometimes I let these feelings get the best of me and I want to book a flight back to NYC as soon as possible. But hey, that's just the normal American dysfunctional family issues right? haha. At the end of the day, I do realize how lucky I am to have parents who really care about what goes on in my life, and who truly want the best for my sister and I. Not every adult can say that. I'm very, very lucky. They do everything they do because they love us. Real familial love is a fresh taro bubble tea waiting for me as soon as I arrive in town. Hey Mom and Dad, I hope you know I think you guys are the best, despite the eye rolls that overcome me sometimes. 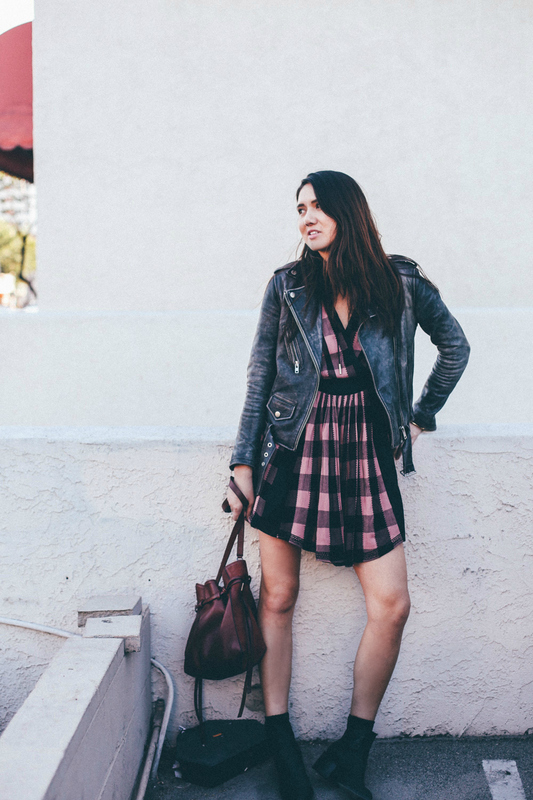 This checkered Free People dress makes everything better, too, not gonna lie. This skater dress looks perfect on you!! Great rock - chic outfit! you look amazing. 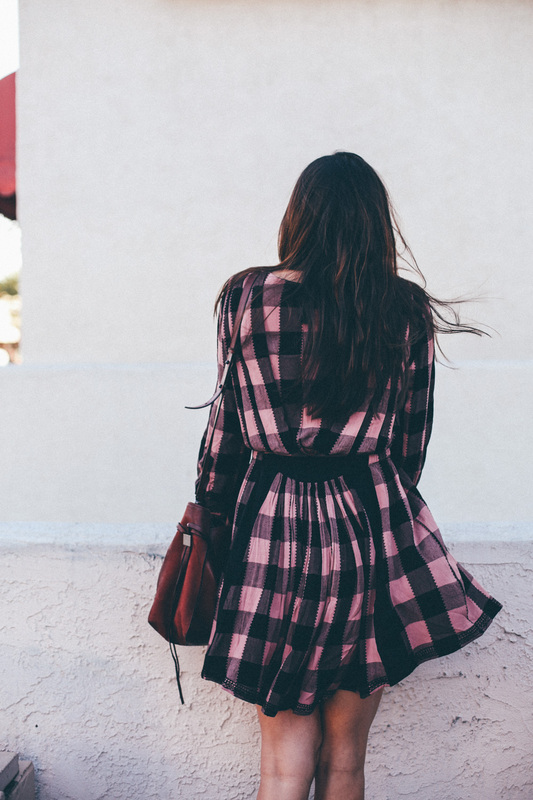 love the plaid dress! The dress is adorable and you wear it so well, with a nice tough factor added. Love your writing, too! Loving this checked dress - very bohemian chic <3 And haha yes, bubble tea is a must! :D Hope you had an amazing holiday! Taro is my fave too, even if I'm not half-Asian :) Looking lovely in this dress, dear. Happy New Year you the Best ! !